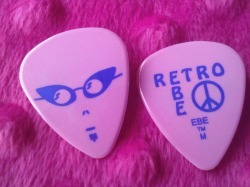 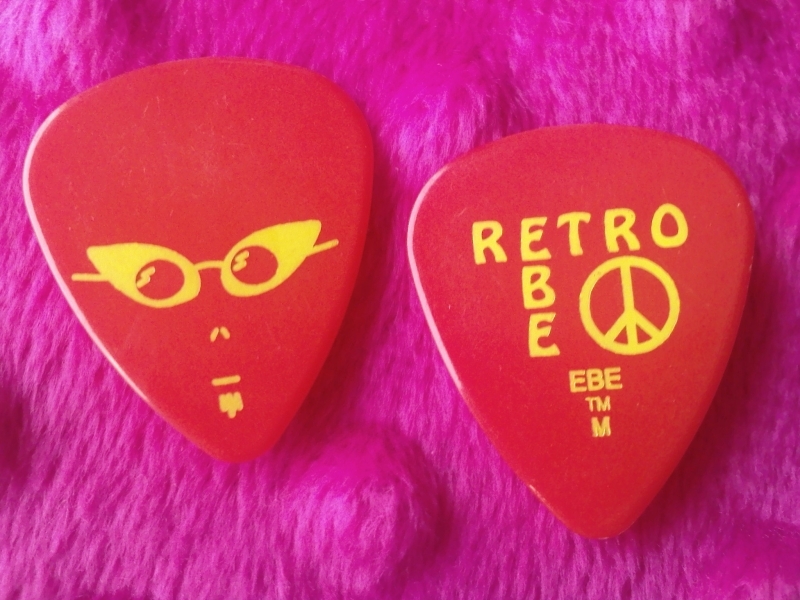 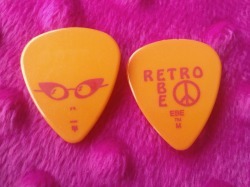 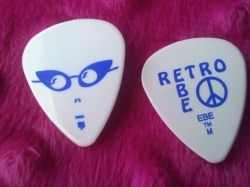 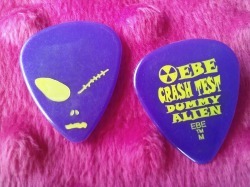 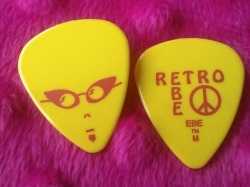 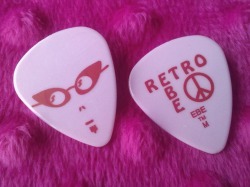 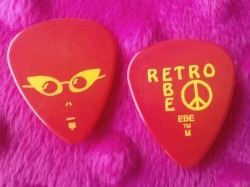 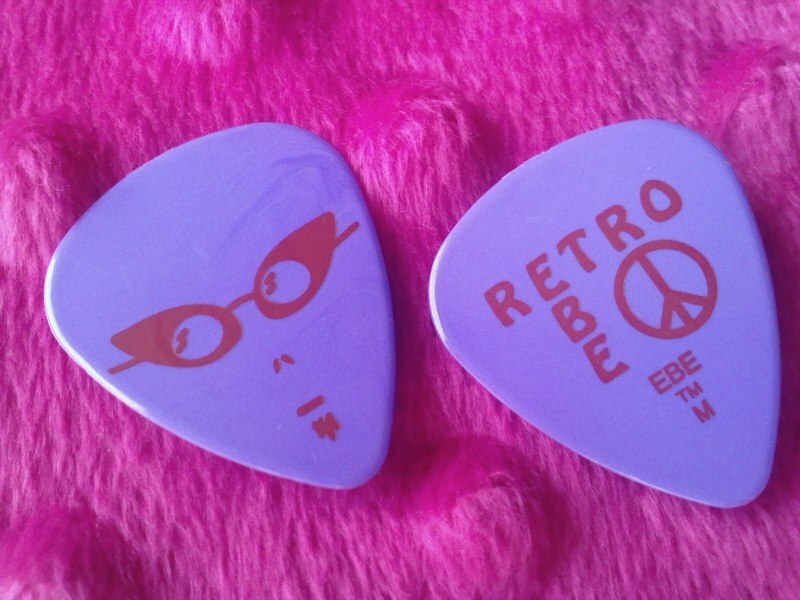 EBE picks are not vintage. But still, they will always remain a favorite of mine. 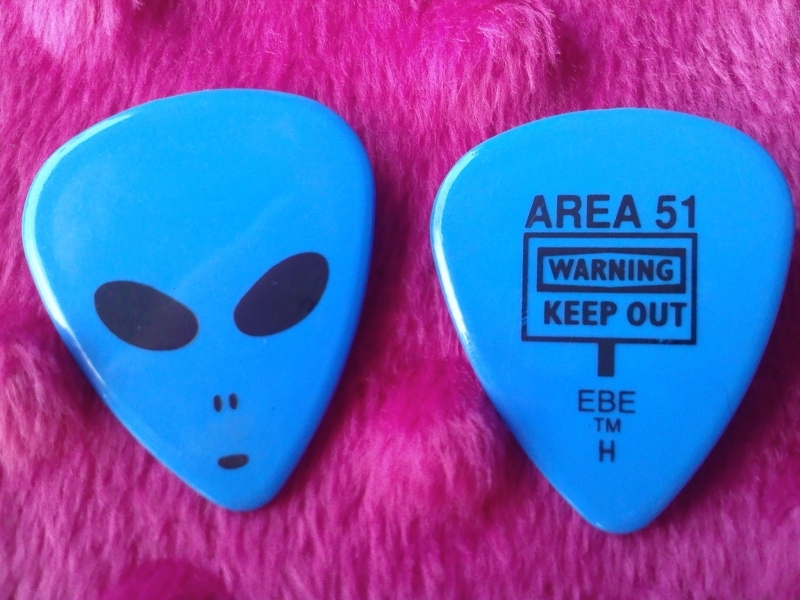 I remember when I first started playing the guitar and went to a place(which has long been closed/out of business) called The Montgomeryville Mart. 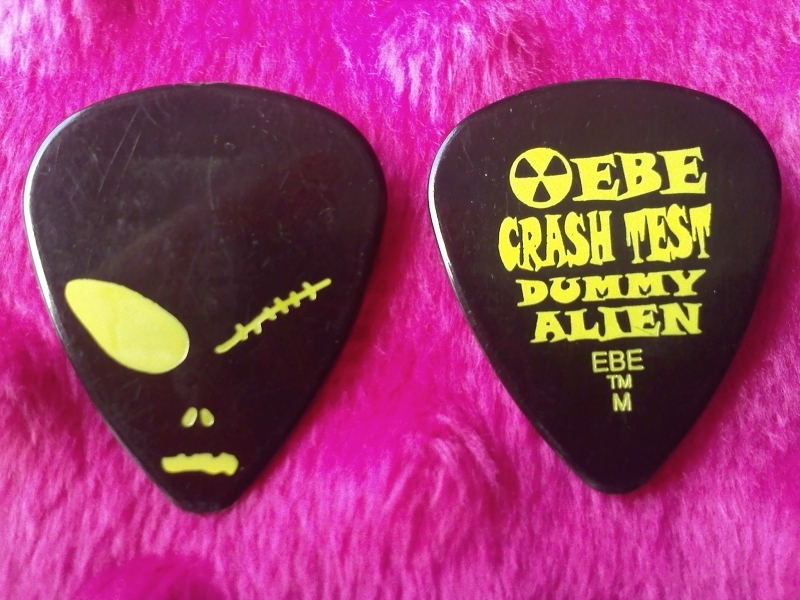 It was sort of like an indoor flea market of sorts. 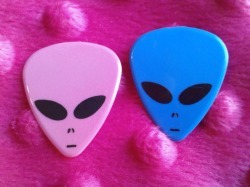 And you could buy all kinds of cool things there. 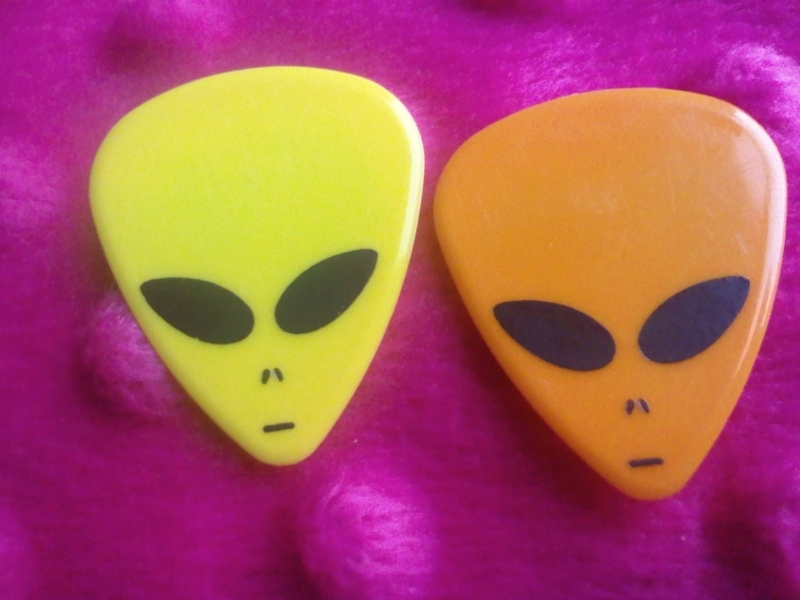 Records, incense, blacklight posters, musical instruments, toys and even had a small tattoo parlor area inside. 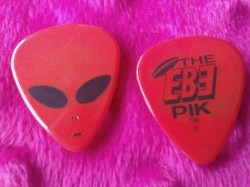 Anyway, I remember that was where I bought my first EBE pick. 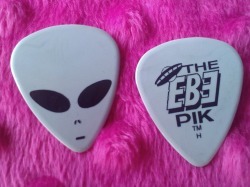 I remember when I saw it, it looked so awesome. The little glow-in-the-dark alien face in my hand grinned back at me. And I was hooked! 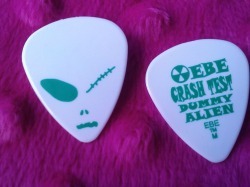 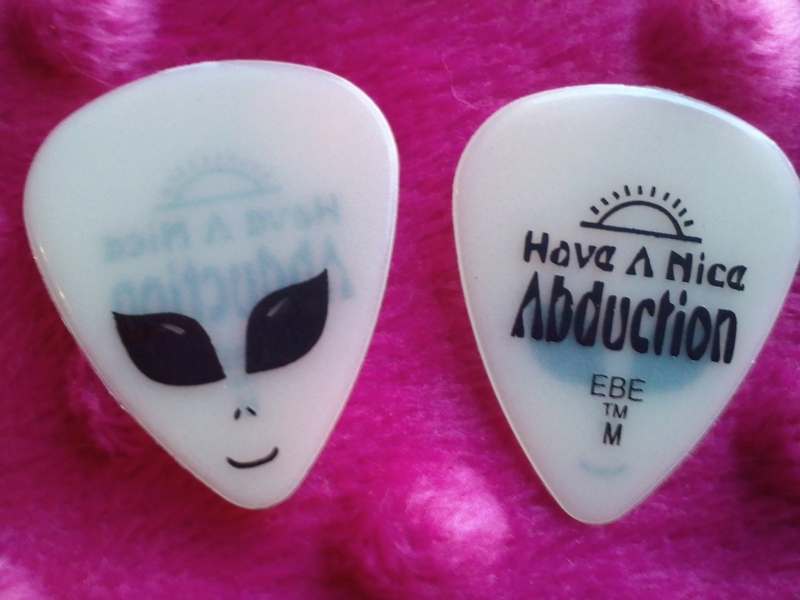 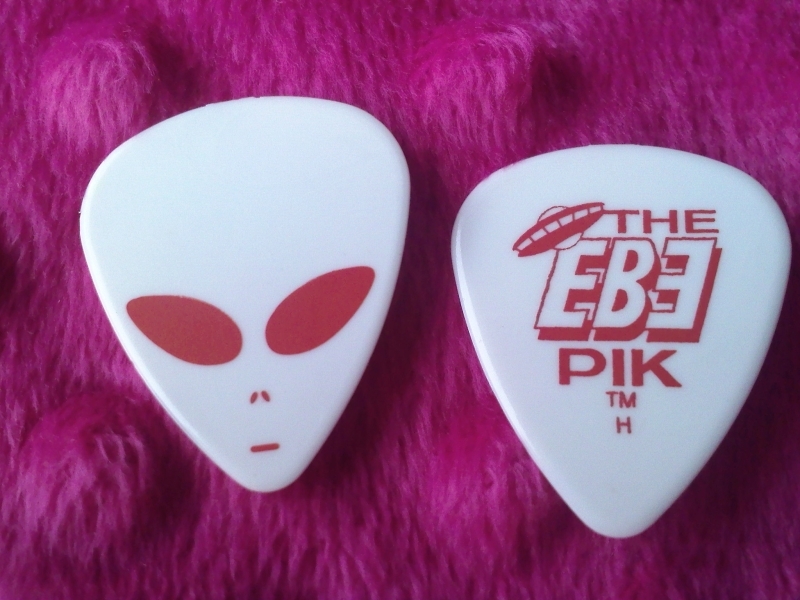 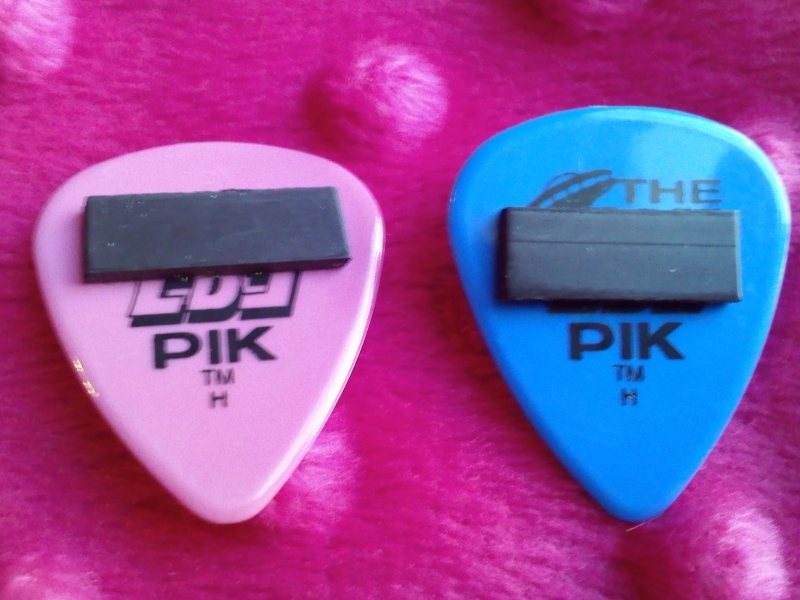 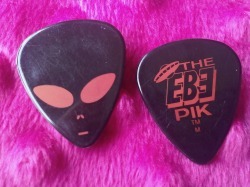 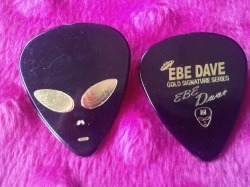 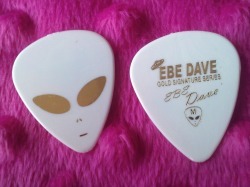 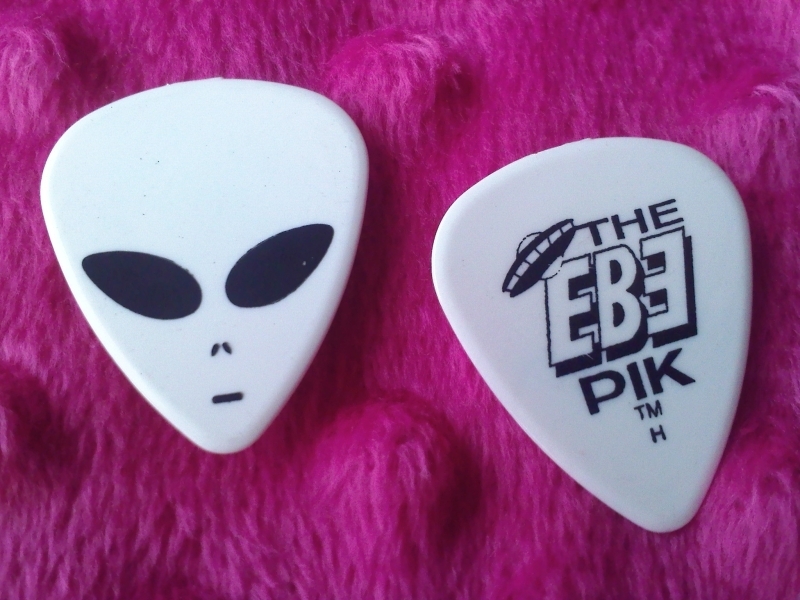 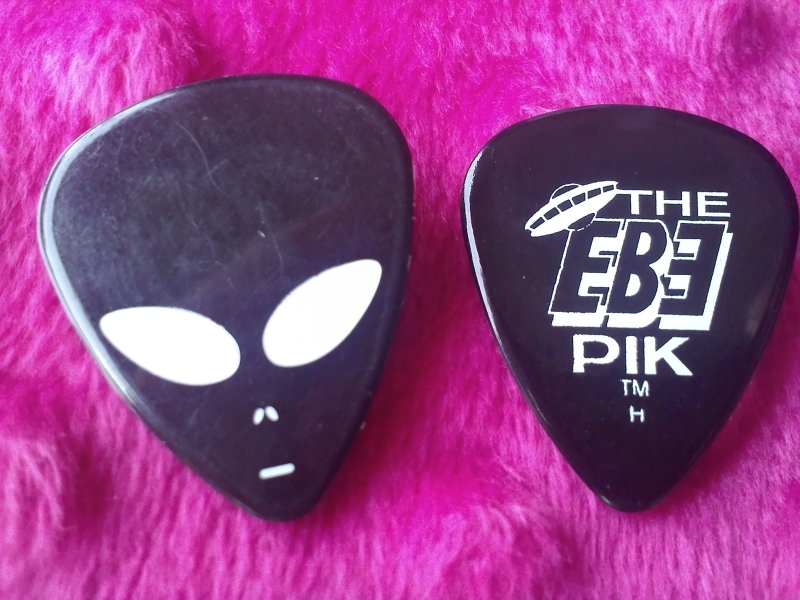 Since then, I have managed to get my hands on every EBE guitar pick made. 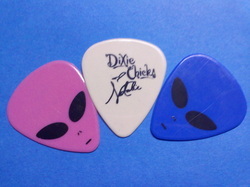 I will be adding two more designs in the near future which are not listed here. They are the blue on white 'Crash Test Dummy', and the glowing 'Jesus Saves'. I had the pleasure of speaking to 'Dave', creator, owner, and manufacturer of EBE picks. 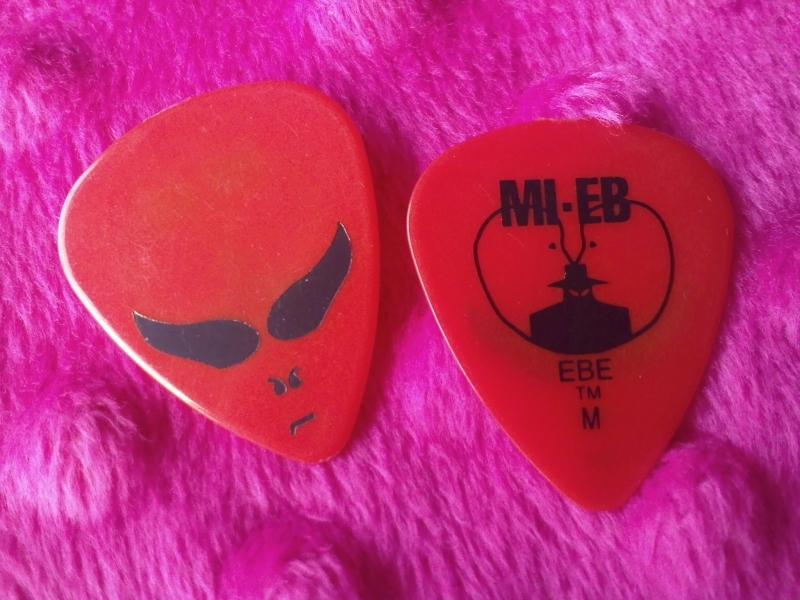 This man spoke with a kind and patient tone as he described how the EBE idea was formed. 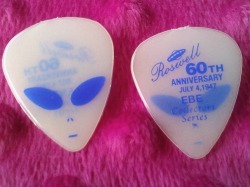 It began when he wanted to occupy space at a NAMM(National Association Of Music Merchants). He and a friend created a fictitious music store title called, "Guitar Picks From Mars", just so they could attend the annual show. Trouble was, they had no merchandise to offer. 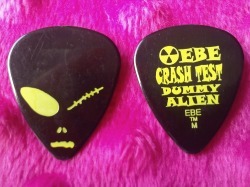 NAMM officials quickly became aware of the situation and threatened to throw them out! 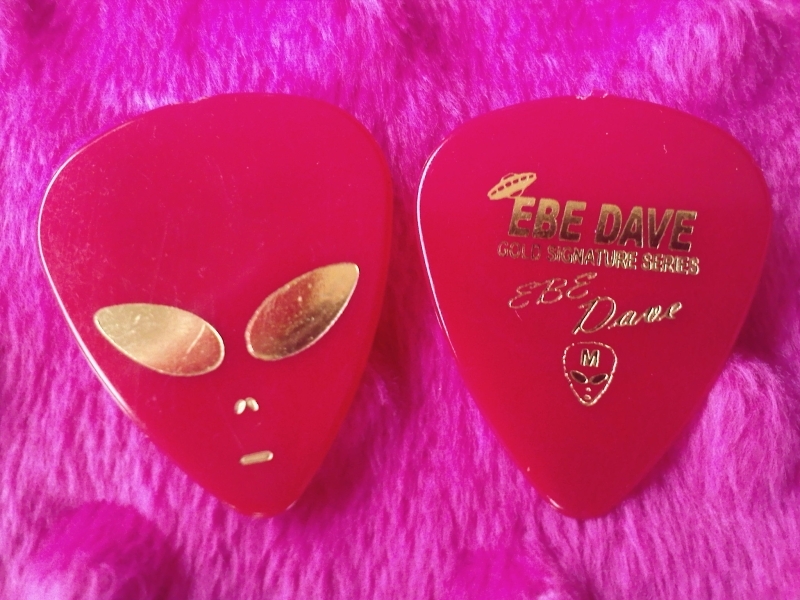 Dave explained, "On December 10th 1990 my life was changed forever! 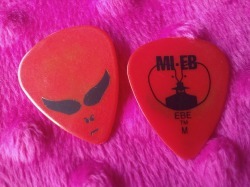 I will never forget that date. 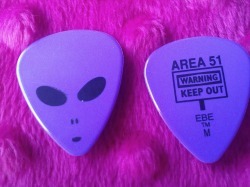 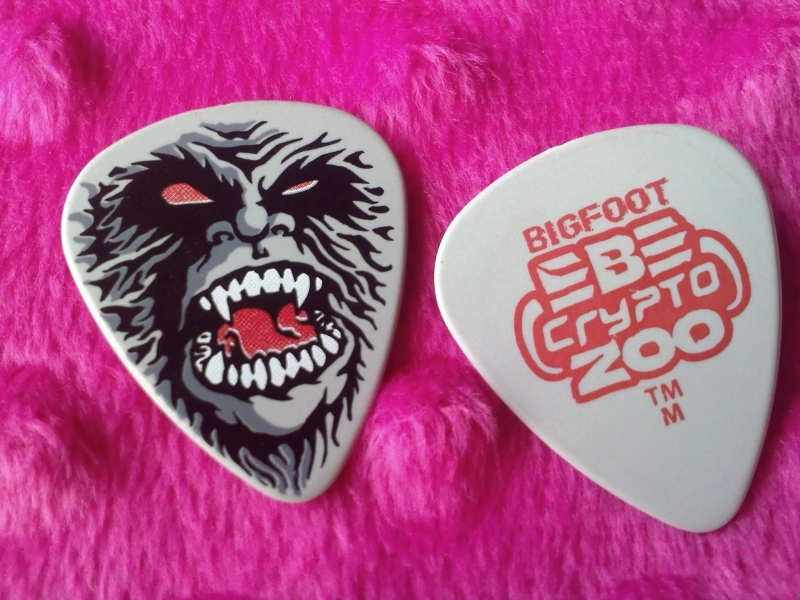 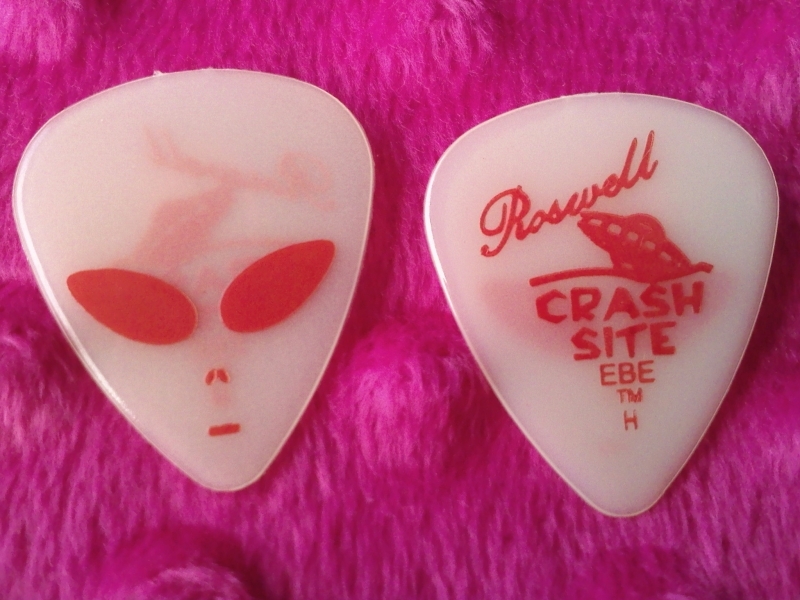 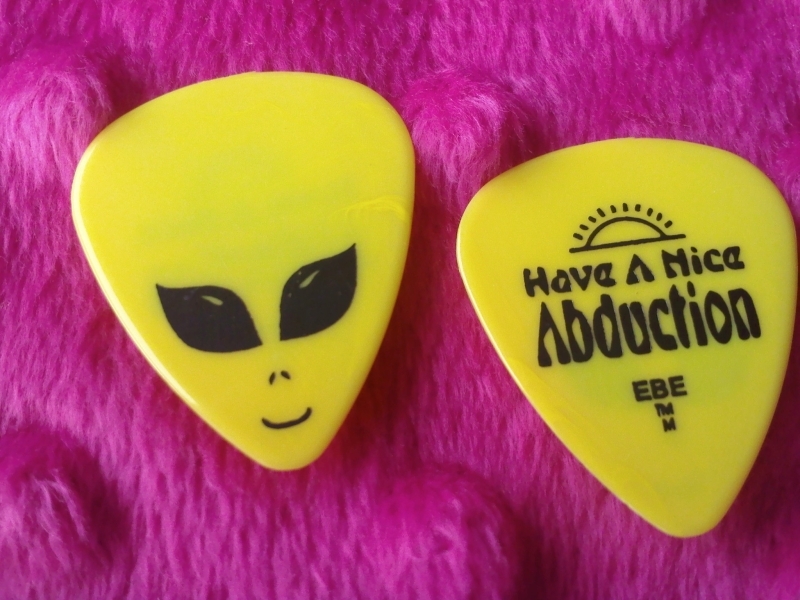 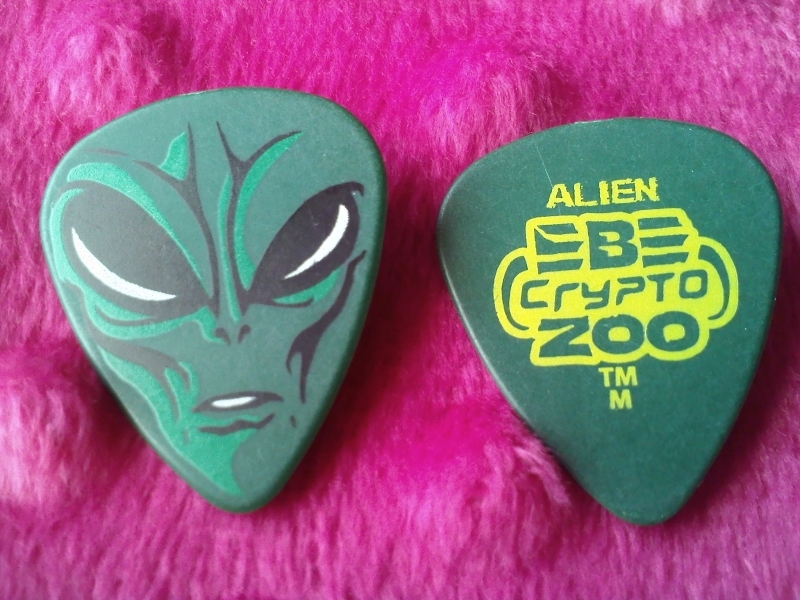 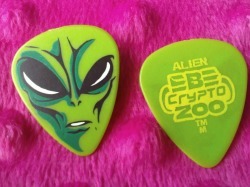 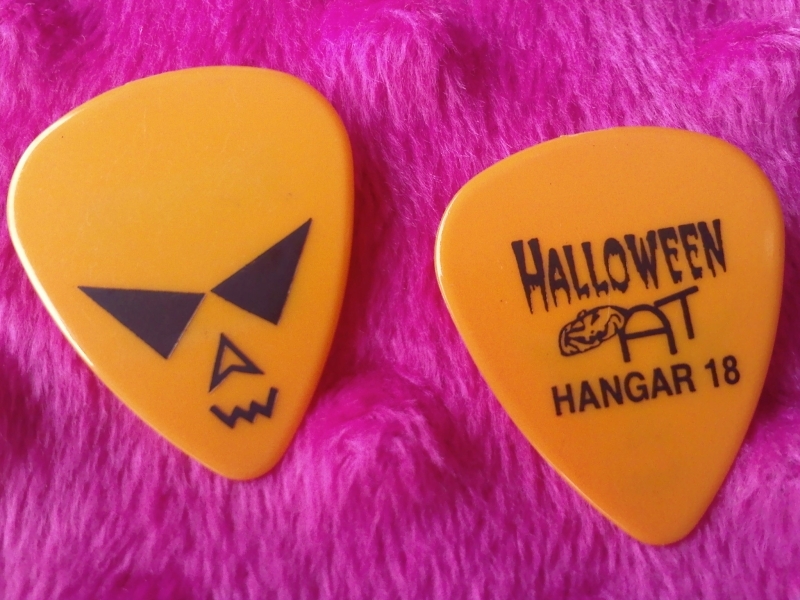 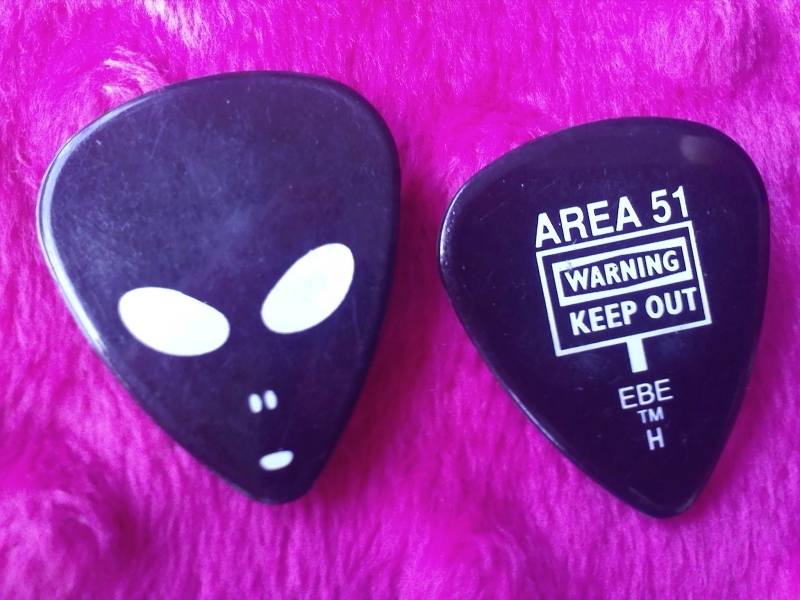 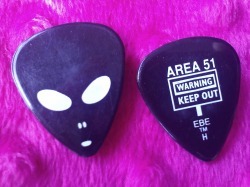 Going with the 'Guitars From Mars' theme, I realized as I looked at a guitar pick, that they were shaped like an alien head!" 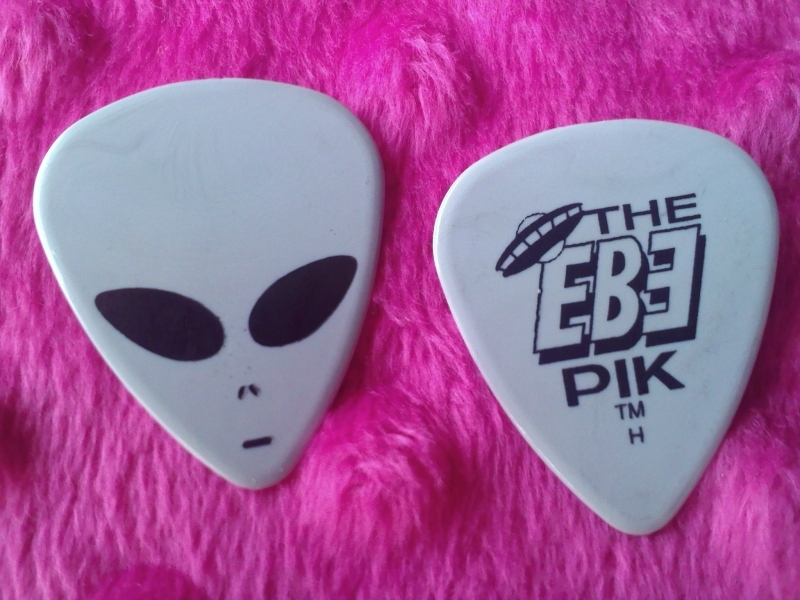 And the rest was history. 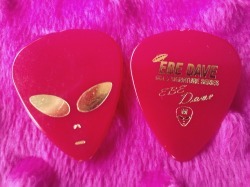 To date, Dave has sold 7-8 million little alien heads to guitarists everywhere. 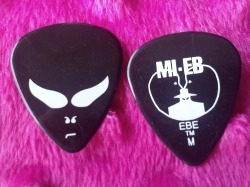 EBE picks are available in the following gauges: .46mm, .71mm, and .96mm. 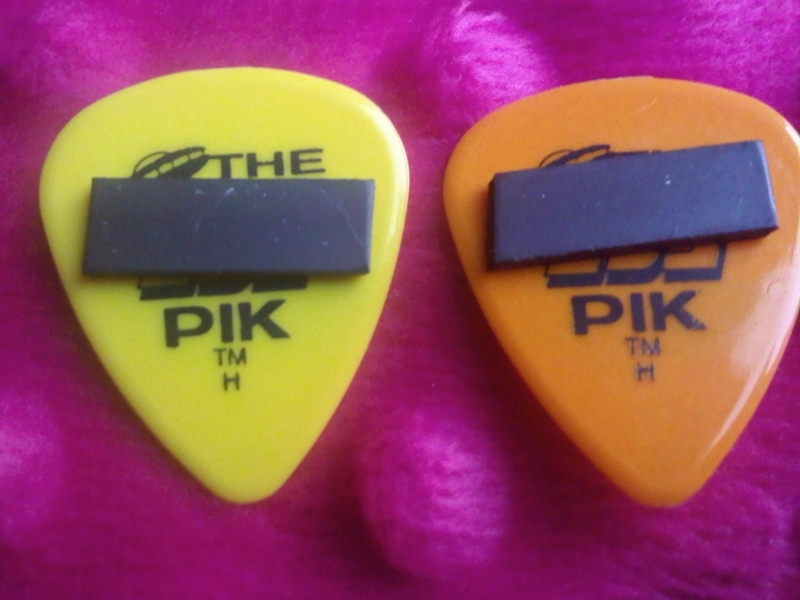 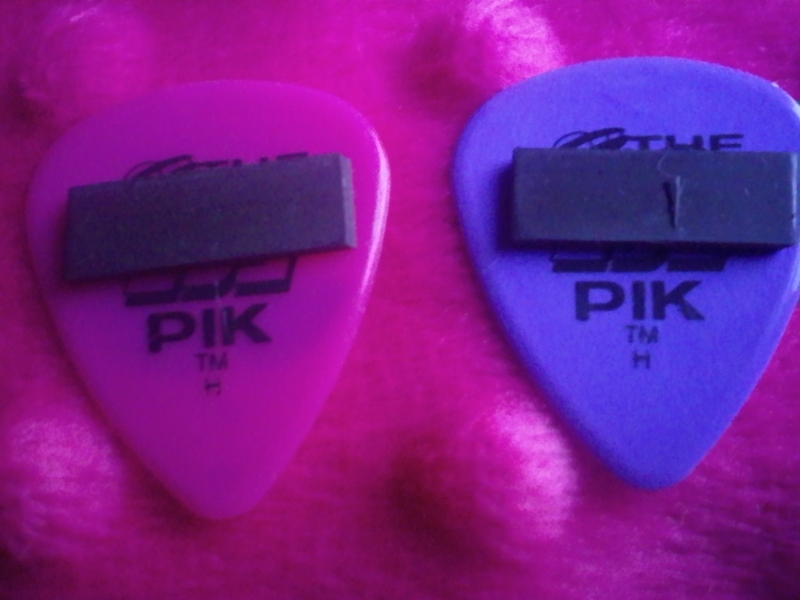 I prefer the .96mm gauge as I like to play with a heavier gauge guitar pick. 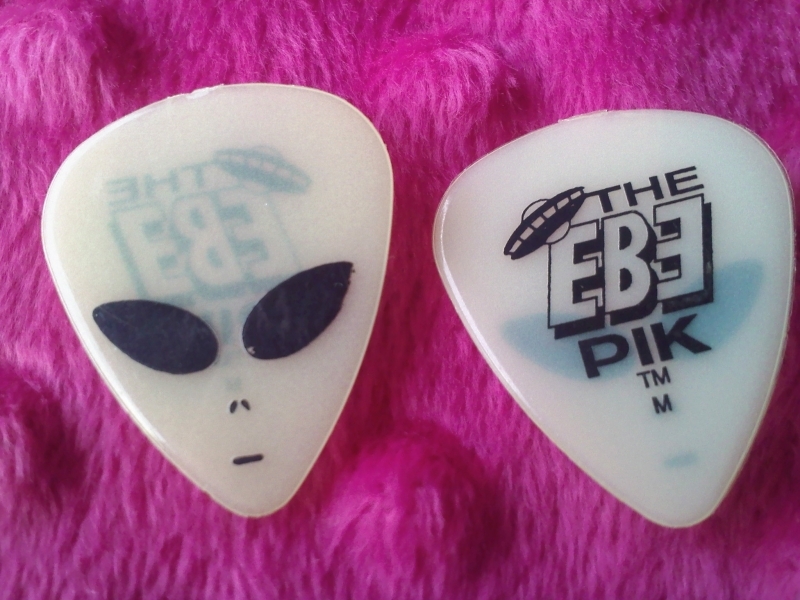 EBE Universal, INC. is the sole distributor in the U.S. and has one distributor in Canada.